Researchers have recently discovered a thousands of jars made of quartz stone and contains the human remains in an archaeological area named Plain of Jars in the central Laos. One of the findings is an odd-shaped quartz stones that covered the face of one human skeleton. Findings thousands of jars is expected to help researchers reveal secrets of the spread of this kind of stones across the country. When found, the skull under the cover of quartz as if peering through a huge hole in the middle of the stone, said Dougald O'Reilly, an archaeologist from the Australian National University (ANU). As quoted from Live Science on Monday, April 11, 2016, the archaeologist who led a team of scientists of Laos and Australia to examine the Plain of Jars in February, 2016. "When we dug, the skull was being see through an opening. 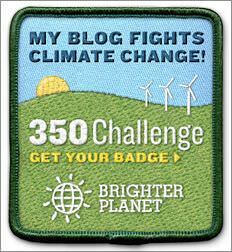 It is quite interesting, but it is not clear whether it was intentional," said O'Reilly as told to Live Science. 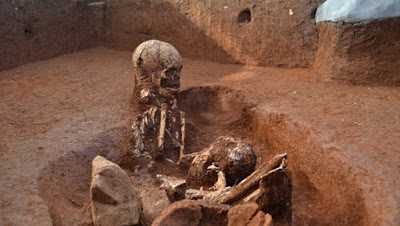 The alleged burial site was 2,500 years old and was discovered by researchers from ANU, Monash University of Australia and the Ministry of Information, Culture and Tourism of Laos. They need approximately 4 weeks to do the mapping and excavation around a collection of carved stone jars scattered in the area. In the central Laos, there are more than 90 jar sites, some of them even have up to 400 stone jars with a size of up to 3 meters. These sites were scattered in the foothills, forests, and valleys in the highlands. 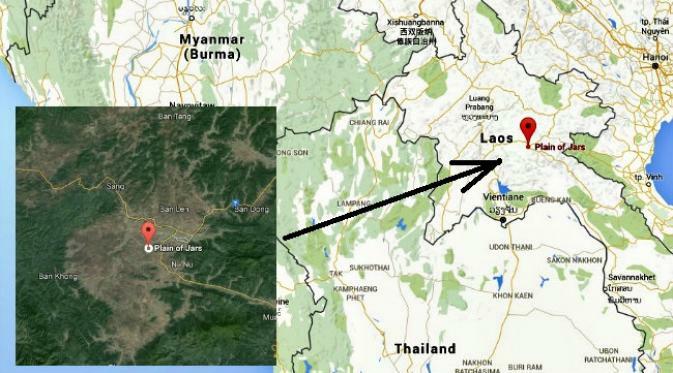 The members of this joint research team has been started at the most affordable place, known as the Jar Site 1, which is located a few kilometers away from the town of Phonsavan in the Xiang Khoang province, central Laos. They planned to examine the site next year. The Laos government hopes to develop the Jar Site 1 as the archaeological center and UNESCO World Cultural Heritage in order to protect the area and stimulate the advancement of science and cultural tourism. O'Reilly said that this expedition is the first major effort undertaken by archaeologists since its discovery in 1930 and intends to understand the usefulness of the jars and identify the maker. 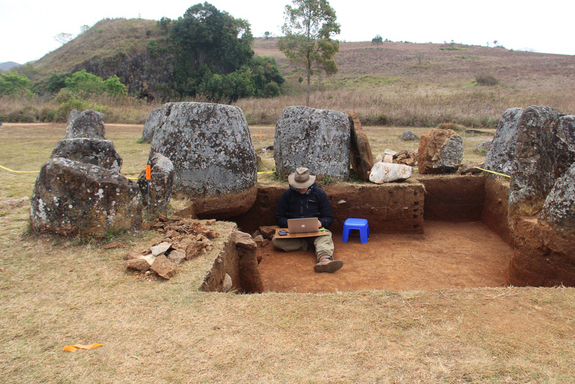 Since then, a number of archaeologists have done substantial work on their own about the Plain of Jars. The latest team consisted of 11 researchers who working to develop the first site's complete scientific study, including a map of the Geographic Information System (GIS) based on the location appropriate to the jars, discs stones and quartz stone markers scattered in the site. The most large jar has a weighs more than 9,000 kg. Somehow could be there. "There are a number of quarry are known to be the origin place of jars and should had to be carried across a distance of about 8 to 10 km to the jar site," said O'Reilly. "So there is a great effort involved when moving the stones. It could be the elephants certainly involved, considering the weight of the jars." To carving the jar is also certainly not easy for primitive humans who have no iron tools, he said again. "Some of the jars have a height of more than 2 meters or 3 meters with a circumference that can not be hugged by our arms," said O'Reilly. "And there are some variations in the design of the jars. There are some that have openings that are smaller or larger, there is a rectangular, circular or oval. Curious how they sculpt these objects." For many years, the mystery of the diversity of size and shape of the jars are inviting a number of researchers to issue a number of theories about its usefulness. 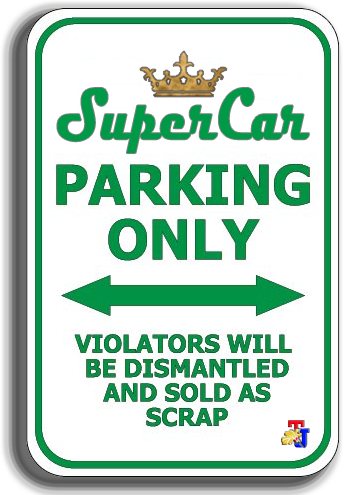 "It may act as a kind of warning, and the diversity of sizes may indicate a difference in status and even there is a hierarchy in the jars creator society. And it take a lot of time to create a theory." The burial place has odd-shaped quartz stones is one of three distinctive types of burial sites are found in the Jar Site 1, the researchers said. 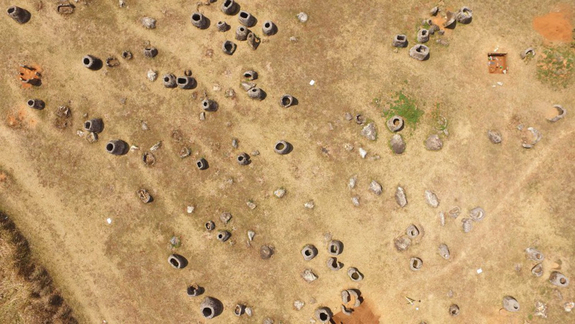 "This is the first time a type of burial was found in the Plain of Jars, but if you have found one, then there may be more to the other," says O'Reilly. "The cemetery is also quite interesting because it provides the skeleton not just one person, but two. The bones of the skull are thought to have come from an 8 year old child was also found in the grave, in addition to the adult skeleton." This expedition also found 11 ceramic jars, which allegedly contained the "secondary" funeral of number of human bones that flesh had decomposed. Found also an excavation contain the bones of secondary graves covered by a lump of large limestone. Marker stones and stone discs on the ground surface around jars stones seem to relate to a secondary burial site, said O'Reilly. 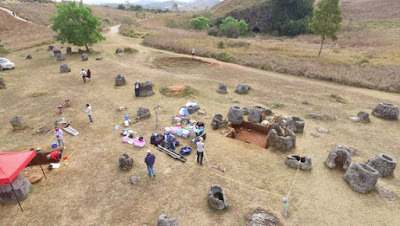 The scientific research to the examples and relics from the Plain of Jars will be continued in the laboratory. O'Reilly said that this expedition has found some human teeth that could provide DNA for testing as well as clues about the origins of the ancient people who were buried there. 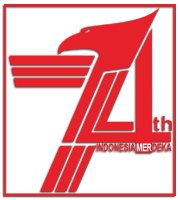 However, DNA tends badly damaged in the climatic conditions in Southeast Asia so that it is possible telaahannya not appropriate, he added. The contents of ceramic jars excavated from this site will also be examined to ascertain whether it contains the remains of a human body as alleged by the researchers. But not everything is revealed in the Plain of Jars. Some archaeologists proposed the stone jars alleged was used in order to remove the bodies before the bones are cleaned to a secondary burial. It is not possible known. 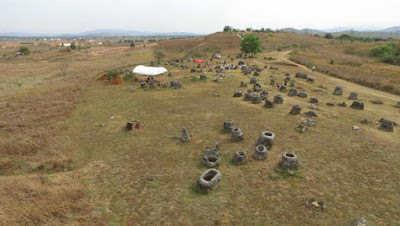 "This case is something that is found in some religious practices in other parts of the world, but still needs to be investigated a bit further on the Plain of Jars," said O'Reilly. One of the biggest problems at the site is that the jars are already exposed to the harsh climate of Southeast Asia for more than 2,000 years so it is very difficult for the researchers to learn and perform a series of tests on artifacts. "Probably we could try taking a fatty substance (lipid) on the stone jars to see if there is evidence of decay (decomposition) of the human body, but the jars had been exposed for so long, so this is a bit too hopeful," he said.